For people who love craft, adult coloring books, or simply to color; you can also color on T-shirts! We have hand-picked our favorite Adult Coloring T-Shirts from Zazzle and Redbubble. All Shirts are available for Women, Men and Children on different colors and styles. After you choose one you like, click the link and see all styles and colors available. 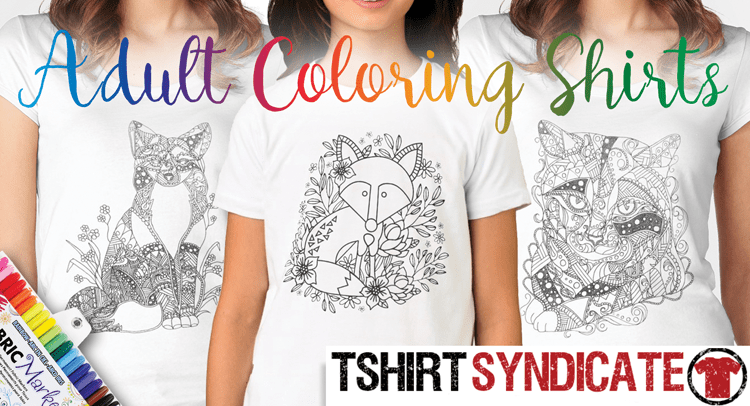 Cover your body with amazing Adult Coloring t-shirts using fabric marker, fabric painting pens, or permanent colored sharpies or your other favorite ways to paint and color these line art design Shirts. Continue Browsing Adult Coloring T-Shirts on Zazzle and Redbubble.